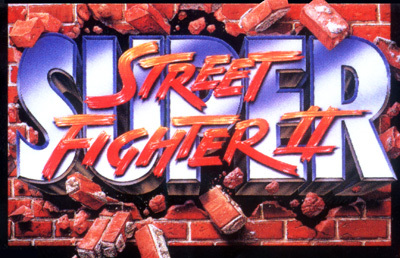 In late 1993, Capcom released another version of Street Fighter II, Super Street Fighter II: The New Challengers. As the subtitle implies, four new characters were added: Cammy, Dee Jay, Fei Long and T. Hawk. Though the game looked superficially similar, every character had in fact been redrawn and animations added to their repertoire. Among the major changes were redrawn character portraits for the returning characters, 8 available colors for each character's costume (likely due to a version of the game called Super Street Fighter II: The Tournament Battle that featured interconnected arcade machines where up to 8 players fought to win the tournament), new endings for the boss characters, an alternate ending for Chun-Li, and new animations and special moves such as a Red Fireball for Ryu, a Flaming Dragon Punch for Ken, and a new fireball animation for Chun-Li. New dizzy animations were added (such as angels and reapers), as well as points incentives for achievements such as performing the first attack. This was also the first game in the series to formally incorporate a combo system; the HUD would show the number of attacks in a combo and award points bonuses accordingly. Another improvement from previous games was the reversal, allowing quick recovery into an attack after landing on the ground or blocking, thus negating the opportunity in previous incarnations of "ticking" one's opponent (i.e., hitting an opponent with a light attack and immediately throwing during their block animation).